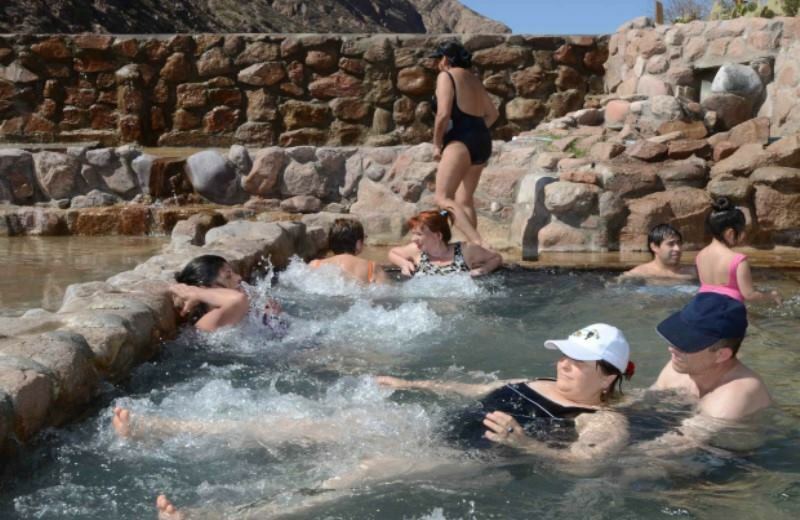 Our Termas de Cacheuta with Spa Full Day tour is the best way to relax in a unique thermal park. Enjoy a full day of relaxation with a thermal hydrotherapy circuit, a sauna in a natural thermal grotto, Finnish and Scottish showers, thermal pools, mineral mud therapy and even little pools beside the river. 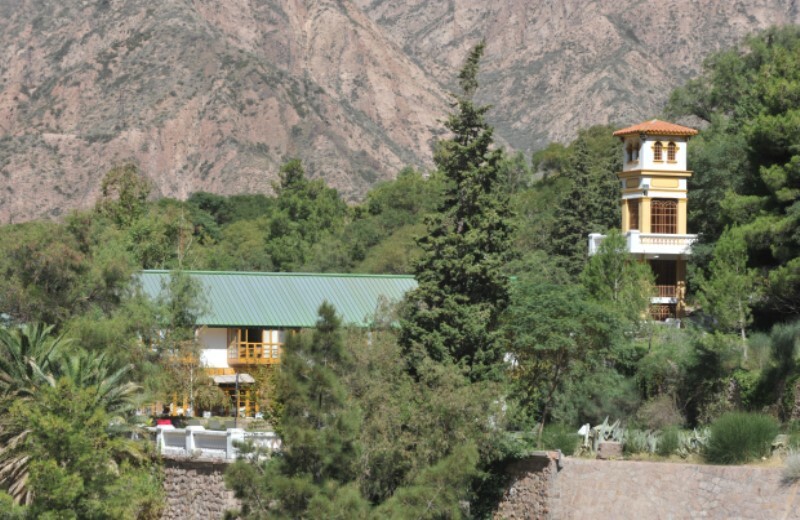 Don’t miss out on the local asado lunch with grilled meats and vegetables, or the opportunity to relax in front of the gorgeous Andes mountain range. 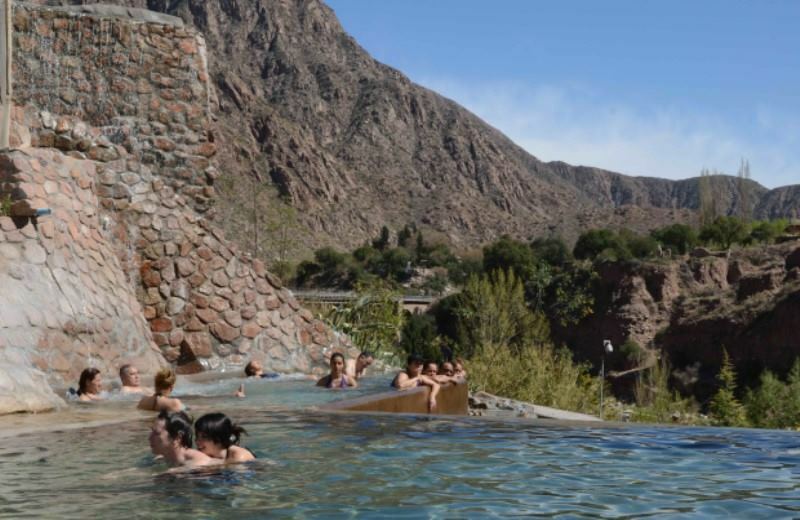 We’ll kick our Termas de Cacheuta with Spa Full Day tour off by picking you up directly from your hotel in Mendoza and heading over to the Termas de Cacheuta. When we arrive, you’ll be given a bathrobe and will be able to order some fresh, natural drinks. 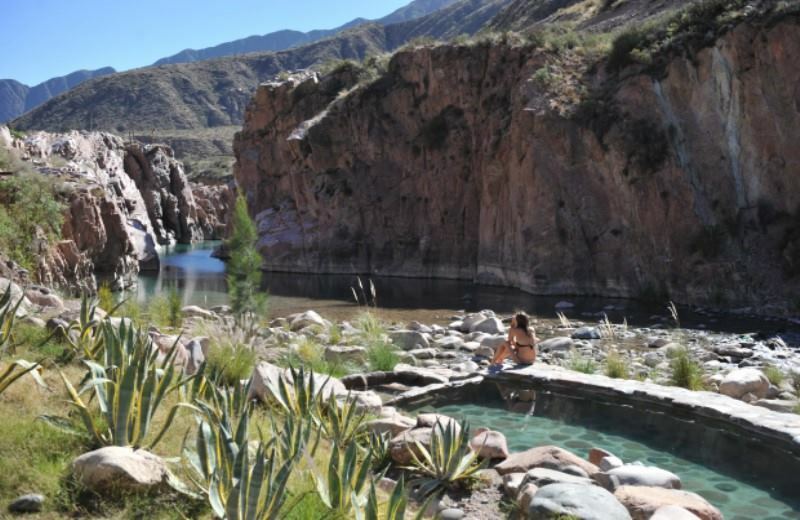 You’ll then be able to choose what to do next, from a thermal hydrotherapy circuit (including a unique Argentine sauna in a natural thermal grotto) to a Finnish or Scottish shower, thermal relaxation pools, mineral mud therapy and even other little pools by the river. You’ve got a world of options! No matter what you decide to do, you’ll be able to do it with a stunning view of the Andes mountain range, relaxing in front of the incredible scenery. 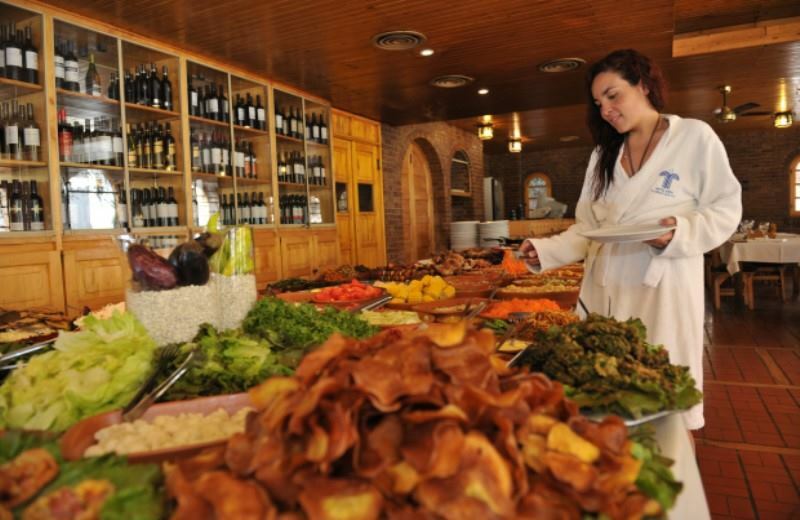 At lunchtime there will be a delicious local buffet with vegetarian options, a salad bar and even a barbeque boasting regional meats and grilled vegetables. After lunch, you’ll have the whole afternoon to relax and make the most of the myriad services available to you. We’ll bring our relaxing and beautiful tour to a close by dropping you back at your hotel for the evening. Great day in termas de cacheuta! I came here by reading the trip advisor reviews. I contacted online the travel agency tangol and Mateo was very helpful on the booking process. Ones in Mendoza i was picked up on time. The staff in the hot Spring waters were nice but their level of english could have been better. The sauna, and different hot pools just rocked! I got very relaxed when i got back to the city. Highly recommended.